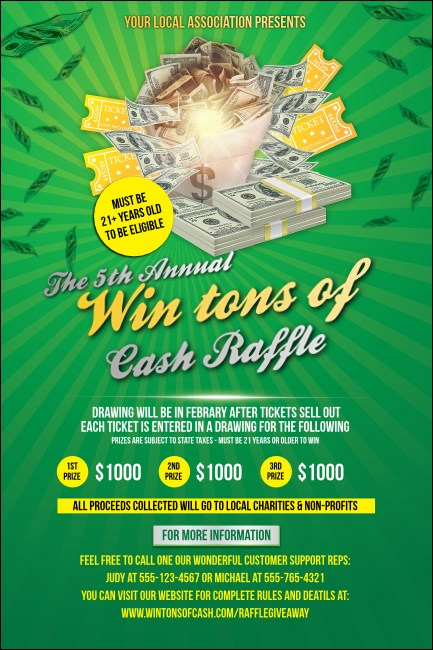 Let Benjamin Franklin help you with your pre-event promotions when you print Cash Raffle Green Posters and post them in advance. Each glowing green Poster features a rich, money-themed background with piles of crisp cash and gives you space on the template to customize as many as twenty-five lines of text for all your event details. TicketPrinting.com helps your event promotions pay off.